The theme for this weeks #WASO is Forever so I asked Missy what forever meant. At first she didn't answer as she was in a contrary mood. However the next time I asked her her answer was a very loud "I'm going to live here forever, yeahhhhh!!". I'm guessing her SW used the word forever quite a bit, referring to a forever family, because it was it was certainly part of her vocabulary when she came to us. When she first started playing hairdressers and doing my hair on a daily basis, she'd pretend I was also a customer coming for a sleepover. "Are you staying forever?" she'd ask. Or she (the pretend hairdresser) might be going on holiday and coming to stay with me. "Can I stay forever?" she'd ask. We still play hairdressers but she no longer asks her customers if they are staying forever, or asks if she can stay with them forever. Perhaps this is a sign it's sunk in that we really are her forever family. Here's my final post this week linked to the Kids Company campaign, 'See the Child, Change the System'. On this video one of Kid's Company outreach workers talks about the children he works with and the dreadful lives in which they grow up. Please watch this video and I urge you to sign the petition at seethechild.org or text I SEE to 63000. Thank you. Here's another video from Kids Company that I want to share with you today. Talking on the video is Professor Pasco Fearon from University College London and he's talking about the risk factors that affect children, including poverty, environment and parenting. He believes the right support for these children and indeed also for their parents is a major priority. Please watch the video and I urge you to sign the petition at www.seethechild.org or text I SEE to 63000. Thank you. How many times has the Government initiated an inquiry following a death of a child known to social services? Too many times is the answer. Think Baby P, Victoria Climbie, Daniel Pelka and many others before them. At least 399 children have died since 2005 as a result of abuse or neglect! Recommendations are made, people are blamed, a few practices are altered yet things haven't really changed. Children are still suffering. A report out last Monday, by the Centre for Social Justice, found that child protection and mental health services were in crisis, with thousands of vulnerable children not getting the support they so desperately need. Following this report, Kids Company, led by founder Camila Batmangelidgh, whom I had the pleasure of meeting at BritMums Live last Saturday, launched a campaign yesterday called 'See the Child, Change the System' to highlight this fundamental lack of support and call for major changes. On Saturday Camila spoke of social services failing children on a 'catastrophic level', yet so many social workers feel they can't speak out for fear of reprisals. Did you know that local authorities don't really know the true number of children at risk in their areas because to do so would mean they had a legal responsibility to help them? There are so many more vulnerable children out there who need help - the NSPCC estimates that for every child granted a protection plan, another 8 are left unprotected. That is a shocking figure. Even to type those figures makes me angry. I know from hearing other adopters' experiences and a knowledge of what has since passed in my local authority that children have suffered terribly from a lack of support, a lack of care, a blind eye maybe, a lack of knowledge, an apathy, not our responsibility, a shift of blame. Kids Company, through their campaign, want the public to sign a petition that calls for an independent task force to redesign the whole system. This task force will devise a new in-depth child protection and social care model that will be trialled within a couple of local authorities and then rolled out nationally. Something drastic needs to be done. Please watch this video and show your support for these changes by signing the petition at www.seethechild.org or text I SEE to 63000. I am inspired. I am invigorated. I am full of ideas. I am excited. Why? Because I attended BritMums Live this weekend, a two day conference for the blogging community. This is good not only for my blogs but for my spirit in general. As well as some wonderful keynote speakers, the days are split into lots of sessions with a variety of talks to attend on anything from podcasting to design, accounting to using your blog for change. The latter session I attended on Saturday morning and, having already spent half an hour in tears, listening to Benjamin Brooks Dutton talk about Life As A Widower, I then spent another 40 minutes in tears listening to four speakers passionate about helping children. One of the speakers of whom I am a huge admirer was Camilla Batmangelidgh. Camila is the founder of Kids Company UK, a charity passionate about supporting vulnerable children in inner-city London. She's a larger than life figure, always dressed colourfully flamboyant. I was a bit star struck when I was fortunate to speak with her afterwards. I told of of my blog and thanked her and her charity for the wonderful work they do and recounted the times when I worked in corporate when I arranged several volunteering days working with Kids Company. A couple of the days involved painting murals on school buildings to bring some colour to the kids lives. We also painted a quiet room in one of the schools, with flowers and trees, whilst on another outing we helped organised art and cookery workshops. The people I worked for were privileged, most went to public school, they earnt a lot of money and lived in a bubble. I wanted to take them out that bubble and show them a different side of life. Half way through our volunteering days, a representative from Kids Company would explain what the charity was about and why these children needed their help. Some of my colleagues were very moved; I honestly don't think they realised people lived like this in London, just a few miles from their bubbles. I was excited to hear Camila speak of a campaign to be launched next week called 'See The Child, Change The System' to bring about a change in children's services. More about the campaign in a future blog. Other highlights of BritMums Live included meeting Sarah from The Puffin Diaries and Vicki from The Boys Behaviour who together founded The Adoption Social. It's so lovely to meet people in real life, people who I 'know' well from SocialMedia Land. The Adoption Social was up for a Brilliance in Blogging Award and although they didn't win, I think they should be extremely proud for being a Finalist. They have done an amazing job spreading the word about adoption. I read a lot of adoption and fostering themed blogs but being at BritMums reminded me there are many other excellent blogs on other themes. 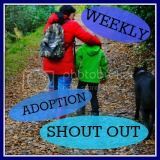 I'm going to make time each week to get to know some of these other blogs and hopefully, in turn, I'll gain a few new readers who didn't previously know a great deal about adoption. Another plus point from the weekend actually happened at home. I thought Missy may play up quite a lot with me not being there Friday and Saturday. I had talked to her about the weekend quite a bit, where I was going, what in was going, what time I'd be back so she was well prepared. I asked her to give me something of hers so I could think about her whilst at the event and she picked out a lovely photo of herself. I'm not a mum who has to give daddy a long list (or indeed any list at all), he's more than capable and it turns out they had a great time together. In fact I came home on Saturday to find they'd been strawberry and raspberry picking and had made two jars of strawberry jam! So, I now have a long to-do list filled with things to do for my blog and I can't wait to get going. You'll find me at my desk tomorrow with a cup of tea and strawberry jam on toast. I'm used to Missy complaining, shouting, having a tantrum. I rarely walk on eggshells anymore. Sometimes I know my response will illicit an ear piercing scream, a moan, a wail or a cry, but I'll say it anyway. Sometimes though she amazes me with her response and I smile. Tonight she asked for some more chilli houmous and I explained I'd finished it at lunchtime. "Oh" she said and moved on to the next question, asking if she could have some more of Daddy's Father's Day cake. I explained Daddy had finished it all last night. "Oh, ok" she replied. No wail, no "it's not fair! ", no crying. And this is food we're talking about here, her biggest trigger. Thirty seconds later. "Mummy, see I didn't complain or cry when you said there wasn't any left". "No Darling, well done for staying calm", I said. "Yes, Mummy, it's so much more relaxing". And off she skipped with the cat. She's learning. Little by little, small steps, but she's learning. 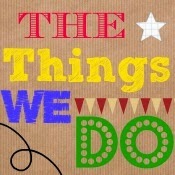 For those of you going to BritMums Live this week, hopefully you'll be interested in this post. For those not going you're probably not interested in the slightest. But the reason I'm telling you is because this is a big deal for me. Although I'll be commuting into London both days, I'll be away for a large part of those two days. That's two days away from Missy. I think she'll cope ok, but who knows. Often she hates me going out because she may well be thinking "will Mummy come home?" and I'll probably know all about it on Saturday morning. Hopefully I'll return home each day to find she's missed me but also had a fabulous time with Daddy. It' also a big deal for me as I'm feeling very nervous. I haven't been to a big event like this in a couple of years and my confidence is very low at the moment. I'm not the person I used to be but hopefully BritMums will help to restore some of that confidence. So, here's some stuff about me for those attending. Hair: Shoulder length brown hair. Well, I think it will be brown. I'm off to the hairdressers in an hour for a colour. Is this your first blogging conference? Yes. Are you attending both days? Sure will be. What are you most looking forward to at BritMums Live 2014? Lots! Just being out the house and doing something for different for starters. Then there's all the lovely bloggers to meet, particularly adoption bloggers Sarah and Vicki. Not sure. I attended a Personal Style Day last week and turns out I'm Natural Gamine! So I need to find something that's neat, french chic-ish, and structured (think I need to go shopping). Oh and flat shoes, I don't do heels. What do you hope to gain from BritMums Live 2014? Obviously I'm hoping to pick up lots of tips to improve my blogging skills. As well as this blog, I have another one too which is kinda linked to what I used to do for a job, and one which I hope might bring in some dosh. I'm hoping to get some inspiration about design, content and working with sponsors, plus how to get my blogs actually read! I also hope to give my confidence a boot in the behind and I'm hoping to gain a few more blogging friends. Finally I'm hoping to gain a really cool goody bag. I love a goody bag. I let you all know next week how I get on! Today was the second Fathers Day for Missy and she managed pretty well. She started to get excited yesterday by making bunting and heart shapes that she then put up around the house. She also (with just a little help from me) made a cake that she decorated so beautifully with a 2D image of Daddy. It's really the first Fathers Day that Daddy has been able to enjoy fully as last year he had to work. Not so this year as his current job is a sensible Mon-Fri. He enjoyed a cup of tea in bed, leisurely opened his presents, bought himself a straw hat for holiday, had the most massive slice of choc cake in the coffee shop, has relaxed watching TV whilst drinking beer and had dinner made for him. Sounds like a good Fathers Day to me. Missy has been so positive towards Daddy for some time now, which is great. In her card she wrote "You are a King. I love you". She put on her best dress, the one she wore to see the Judge and even tidied her room as "it's a special day". That's not to say it's been a breeze today. 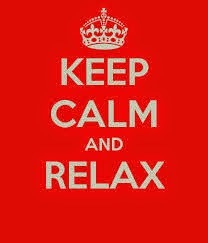 We've had lots of backchat that has sorely tested my ability to stay calm. There's something about school that we have yet to get to the bottom of and our therapeutic parenting skills have had a few tea-breaks. But on the whole it's been a good day. Both my and Daddy's Dad are no longer with us. I wonder what my Dad would have made of our adoption. I'm not sure he would have entirely understood our different way of parenting but I'm pretty sure he would have been a hit with Missy. He had a very calm nature about him. I miss him and often wish, in the words of Luther Vandross, that I could 'dance with my father again'. I've just watched an interesting discussion about childhood anxiety and depression on TV (with the mums ' fave doctor, lovely Dr Ranj). Ten minutes wasn't long enough unfortunately and they could do a whole programme on it. So with this in mind I thought I'd mention something we do to help Missy with her anxiety, alongside all the therapeutic parenting strategies we try to employ. I've previously mentioned meditation and the guided meditations Missy likes to listen to at bedtime. Another holistic approach we used is Emotional Freedom Technique (EFT) or tapping. I learnt this simple technique a few years ago. I'm guilty of not using it enough on myself, however I introduced it to Missy a few months ago and now she often asks to do it. In fact she told me she tapped before she went on stage at her school talent show. Tapping is stimulating the body's meridian points with your fingers, harnessing your body's energy, and using self-healing. Whilst I can take Missy through a whole tapping routine myself, we particularly like to follow Brad Yates on YouTube. Brad is a world leader in EFT and has several videos online aimed at kids (demonstrated by his daughter - search for 'Brad Yates Kids'). It only takes five minutes or so and I definitely see an immediate shift in Missy's emotions after that time. (You can do longer and if you yourself had an appointment with an EFT practitioner you'd probably take an hour). Missy asks to do tapping when she's feeling angry or sad, but we'll probably use it before we go on holiday and, as mentioned above, I love that she used it to help her feel confident before her talent show.